Let’s start with the good. Inside are sixteen 13mp uniquely spaced, small sensor/lens combos, of which ten are used for any given photo. The alignment and focal length differences between the ten cameras actually used provides the computational engine inside the camera enough information to create 52mp images from effective focal lengths of 35-150mm (the units are all labeled f/2.4). Focal length is set via traditional pinch-and-zoom techniques on the touch LCD, which serves as the control system for the camera. Each of the ten sensor/lens combos used for an image can work at different exposure levels, enabling a form of HDR data to be obtained for any given situation. The camera produces JPEG, TIFF, and DNG raw files. Focus is a bit interesting, as with the deep depth of field of the small sensors coupled with the computational aspects of the camera, images are essentially created with “everything” in focus, and the L16’s software allows you to control depth of field after the fact by computing a focus field, much like the Lytro does. Now the bad news: order today and the camera costs US$1299, but it won’t be shipped until late summer of 2016 (only a US$199 deposit is required). That pre-order price goes up on November 6th. 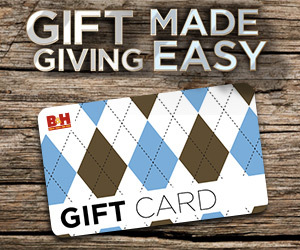 Realistically, you’d be ordering something that isn’t yet finished and whose quality and workflow are still unknown. I note that a number of the sample images that Light posted have issues in them. The shot looking up at the two redwood trees has severe chromatic aberration in it, for example. Most of the examples look far more like grab shots than something that truly exhibits what a great camera can do. I’ve written for awhile now that I believe that the next breakthrough will be multi-sensor, multi-lens products. Indeed, I made a presentation in 2003 to imaging academics that said not only this, but predicted that computational cameras were the future, no matter what form they took (e.g. single sensor, multi-sensor). We’ve now got multi-core CPUs with tremendous power that fit into very small devices, and multiple organizations have shown that they know how to take software and create hardware versions of those algorithms in said chips. If you know the characteristics of the sensor and lens, you can correct and improve the output from them. Indeed, I believe we’ll eventually get to the point where we can computationally remove things like diffraction in images, as well as deconvoluting focus misses. 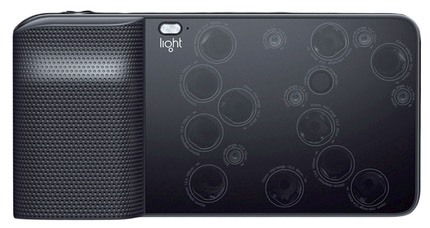 So Light is a pioneer in this space, along with Lytro. Apple, too, is a pioneer, though their efforts haven’t yet shown up in the iPhone (they will in the iPhone 7 or 8, I’m pretty certain). Unfortunately, pioneers often suffer because they’re a little early to the party. They essentially disclose the party location and then die because they burned through their cash doing so. The fact that Light is asking for orders so far in advance of shipping is something I take as a bad sign. Moreover, for a camera company targeting enthusiasts, Light is making other mistakes. Remember all those articles I’ve written about workflow and how the camera companies are getting it wrong and not solving user problems. It’s unclear how Light is going to solve the user workflow problem. From their literature so far, the L16 has WiFi and they promise one-button transfer. My guess is that they’re another in the “pass things to the smartphone via an app” line the other camera makers are already in. Maybe not. But who knows? Given that we’re many months away from shipping, I doubt Light’s software is anywhere near complete, and what we actually get on the day of shipping is anyone’s guess at this point.